WJ-400D Melt Flow Rate Meter conforms to GB/T 3682 Standard for Measuring Melt Mass Flow Rate and Melt Volume Flow Rate of Thermoplastic Polymers. 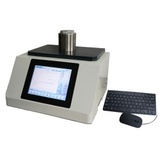 It is used to determine the flow MI of Thermoplastic Polymers at high temperature, such as polyethylene PE, polypropylene PP, resin ABS, polycarbonate PC, nylon PA6 and other plastic raw materials. This product is widely used in plastic raw material factories, plastic products factories, petrochemical companies and other industries, as well as relevant colleges and universities, scientific research institutes and quality inspection units. The instrument is controlled by touch screen and Chinese characters are displayed. Automatic temperature control, automatic cutting, real-time display of each section of the test curve, with the function of micro-print data, can display and print up to eight sections of experimental data and the average value of the results of each section can also achieve "time-controlled cutting, displacement cutting". 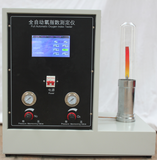 Among them, WJ-400D melt flow rate meter has two measuring methods of mass (MFR) and MVR, and has the function of automatic measurement of melt density. 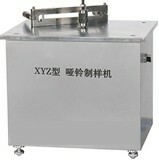 WJ-400D melt flow rate meter is a plastic extrusion instrument. 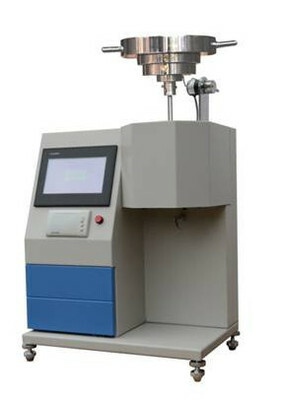 It uses a high-temperature heating furnace to melt the measured material at a specified temperature. The extrusion test of the molten material is carried out through a small hole of a certain diameter under a specified load. In the production of plastics, melting index is often used to express the physical properties of polymer materials such as fluidity and viscosity in the melting state. 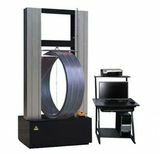 The so-called melt mass flow rate refers to the average weight of each section of the extruded sample converted to 10 minutes of extrusion volume. 1. Display mode: LCD display, Chinese, English and other operating systems. 2. Measurement method: mass method (MFR) volume method (MVR). 4. Temperature accuracy: +0.01 C.
5. Temperature resolution: 0.01 C.
6. Timing range: 0.01-999.00 seconds. 7. Timing accuracy: 0.01 seconds. 8. Cutting methods: automatic, manual and time-controlled. 9. Automatically calculates the financial index, equipped with a printer, and can print test reports. 10. Die material: tungsten carbide. 11. Die diameter: 2.095 mm. 18 has the function of over-temperature protection. When the temperature reaches the limit, the heating stops automatically.